A man and dog were attacked near Hollywood Bowl in Crawley yesterday in a reported stabbing. The man was hurt but fortunately received only minor injuries, police said. Reports coming in suggest that the attack was a stabbing, though police have yet to confirm this. A dog was also hurt and was taken for emergency treatment, however it later died. 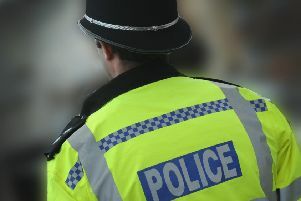 A spokesman for Sussex Police said: "‘At 6.27pm police were called to a report of a man who had been injured as a result of an assault near to the Hollywood Bowl at Crawley Leisure Park. "Enquiries revealed that the victim had fortunately received only minor injuries which were treated by paramedics. "There was blood at the scene but it was established that it belonged to a dog which was unfortunately injured during the course of the same incident; the dog has been taken to a vet for emergency treatment. "Enquiries are ongoing but officers are confident that this is an isolated incident. Anyone who witnessed the incident are asked to contact Sussex Police on 101 quoting reference 0940 17/11/2018." A spokesman for Hollywood Bowl said: "We can confirm that we were alerted to an incident that had taken place outside our centre last night, during which a member of the public and a dog were injured. The police and paramedics were immediately called and one of our team, who is a trained first aider, looked after the injured man and dog until the ambulance arrived. "We were very sad to read reports that the dog later died. "As this is now the subject of a police investigation, we are unable to comment further. "Our thoughts are with the injured man and we wish him a full and quick recovery. "Anyone who witnessed the incident is asked to contact Sussex Police on 101 quoting reference 0940 17/11/2018"